“It is with a sense of loss and reverence that I must announce that Dave Getchell, Sr. passed away at home Saturday night at age 89. A self-effacing soul, ‘Getch’ called himself co-founder of the Maine Island Trail, although he was our de facto leader. Raise a pint to Getch today, and have look at his article about the trip that launched the trail. 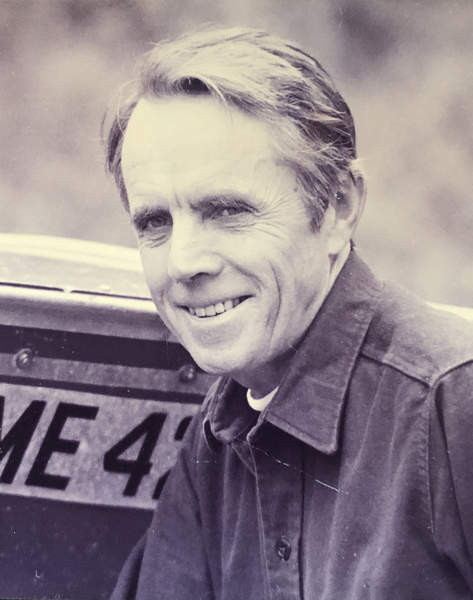 Over the course of 22 years, he was managing editor and editor of the Maine Coast Fisherman, National Fisherman, and founding editor of the Small Boat Journal and the Mariner’s Catalog in Camden. Later, he co-founded the Maine Island Trail and created the Georges Highland Path, a 40-mile hiking trail system in the Midcoast, for Georges River Land Trust. 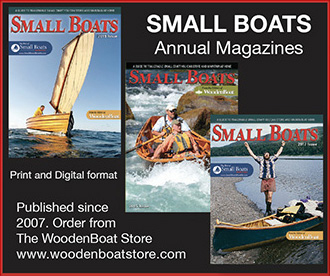 In 1994, he edited and was lead author of The Outboard Boater’s Handbook. Active in the founding or operation of several nonprofit environmental organizations, he always made time for his favorite sport of surf fishing. He also partnered in 1980 with mountaineer Geof Heath of Hammondsport, N.Y., in a month-long two-man climbing expedition of 400 miles along the Labrador coast in an 18-foot open boat. In the early 1980s, he and his wife, Dorrie, made a number of long bicycle trips, the most ambitious being a five-month, 8,000-mile cross-country tour to the West Coast and back to Maine. Both considered this a high point in a happy marriage of 67 years. Getchell was born in Bangor, the son of George V. and Nettie R. Getchell. He graduated from Bangor High School, attended Bowdoin College and graduated from the University of Maine in Orono with a degree in journalism. He served in the Army as an infantry training officer. A celebration of his life and work will be held Nov. 18 at Bay View Point Event Center, 18 Spring St., Belfast, from 1 to 4 pm. Donations in memory of Mr. Getchell may be made to the Maine Island Trail Association, 100 Kensington St., 2nd floor, Portland, ME 04103; the Georges River Land Trust, 8 North Main St., Suite 200, Rockland, ME 04841; or Friends of Baxter State Park, P.O. Box 322, Belfast, ME 04915-0322. Mr Getchell was a true friend of the small boater…we will miss him.